Late last year I received an email from a reader telling me about her sighting of a strange object in Loch Ness over ten years ago. I get various emails at certain times from people who claim to have seen the monster and having checked she was not one of those Fake News sceptics who sometime pretend to be a witness, I am happy to recount her story to readers today. I reproduce her email to me below. Hi, I have been reading your blog for a while now and have toyed with the idea of emailing you about a sighting myself and my husband had in 2000-2003 (not sure exactly what year it was). I have been interested in Nessie since I was young and my parents used to keep newspaper clippings for me and also make sure I could watch any news items on it. Having grown up and married I travelled to Loch Ness once a year for a week with my husband and daughter. The last time it was just me and my husband. We were staying at Invermoriston Caravan and Camping Site in a caravan. The evening we had the sighting we had been to the Sports club at Lewiston at least I think its Lewiston as we stayed in a log cabin there the first time we came up. It was about 8pm and I was driving back to Invermoriston and just before the bend near Urquhart Castle my husband said there is something in the water over there. I pulled in but couldn't see anything so he said to look across the bay and half an inch out I could just see something black. I turned the car around and sped back round through Drum and round the other side of the bay. As we came round the bend I couldn't believe my eyes as there was a huge hump about 3 to 4 foot high. It reminded me of a huge chocolate brazil if you understand what I mean by the shape of it and a ridge running right the way down it. It looked mottled but I don't think it was rough just appeared so because of the mottling. I am not sure I will be believed because it was so close inshore, feet rather than yards. I had only just come round the bend and was worried if I stopped that a car may come round and hit me but slowed down and we had a very good look at it. I drove until I came to a layby and waited for a long time but saw nothing more. I have no idea how deep the water is there but it was definitely not a bird, log or seal. It was enormous. We have told people but as always we just get laughed at or asked how much had we drunk. I really don't care if anybody believes me but thought you might like to have the sighting for your records. I would of course rather stay anonymous as to most people its a laughable subject but I know what I saw that evening and whatever the animal is its huge. I asked her to sketch what she saw and that drawing is shown above. Enquiring more, she told me the length of the object at the water baseline was about seven feet, which tallies with the height of three to four feet mentioned in the original communication. The month of the sighting was also June. As to where the creature was on the second, closer sighting, the witness cannot remember the exact location, but we can assume it was likely to be between the two lines shown on the map below. By the time they parked at the lay by and went to the location of the object, it was no longer visible, despite waiting for a prolonged period of time. The presumption being that is had either submerged or moved off. I also asked whether the closer view on going round the bend was at Temple Pier, but she was sure it was further on. Looking into the account more closely, the creature could have been at one of multiple points along the shoreline indicated in the picture below. Temple Pier is to the left and the curvature of the hill to the right sets a natural limit on where the creature could have been seen from Urquhart Castle. As you can see from the buildings, this area would normally be a place of activity with people milling about and boats heading in and out of the pier. However, at 8pm onwards, most activity would have closed down for the day. Looking further at the shoreline image for objects that could be mistaken for a seven by four foot dark shaped hump, the options are severely limited. We see buoys and some moored boats. In their attempts to discredit this report, sceptics may well resort to at least two items of fake news. They may say it was a boat, perhaps covered by tarpaulin. One would wonder why this imaginary boat then disappeared from view (covered in tarpaulin)? I note there is a covered object (probably a boat) in the photo, but it is on terra firma. The sceptic may also try and cast doubt upon the location and claim nothing would be visible from the road due to the tree line. Having "driven" the route via Google StreetView, I am not buying that one. Or perhaps our witnesses saw the fibreglass hump that formed the basis of the 2012 George Edwards hoax which would have been used in that area? It did have a nice ridge to it, after all. Well, apart from being much smaller, this prop was used much later in 2011. Or perhaps it was the oft invoked seal-on-demand which turns up just at the right time of witness reports before disappearing back to the sea. It could present a mottled appearance, but again, it would be too small, not have such a ridge and could not arch or suspend its back in the way described. Either way, the witness was convinced that what they both saw was unusual and an animal. The mention of the ridge running right down the back of the creature places this sighting in a unique niche of reports which mention this curious feature. Looking back at the database of sightings, I can count eight reports which mention a ridged back or something similar. That comprises less than one percent of all sightings, though I suspect there may be more; especially those describing the creature like an upturned boat, which suggests the underside ridge of its structure (see photo below). So, the ridge may be more commonplace than realised. But going back to the sightings which are explicit on the matter, readers may be reminded of the Commander Meiklem report from August 5th 1933 in which he described a similar object in Inchnacardoch Bay. Curiously, this object was also seen in shallow waters and was also about four feet out of the water. The illustration is from Rupert T. Gould's book, "The Loch Ness Monster and Others". We could also not pass by Tim Dinsdale's account of his filming of a strange hump in April 1960 from Foyers. 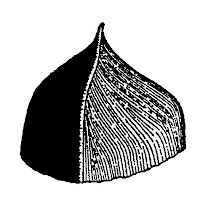 In his first book, he included a sketch of the hump he saw through binoculars and one can clearly see the ridge line splitting the hump into two sections. Another famous monster hunter saw a ridged back on June 15th 1965. That man was F.W. Holiday who describes his sighting of a humped object in his book, "The Great Orm of Loch Ness". He sketched what he saw (below) for the book. I would point out that Meiklem, Dinsdale and Holiday all observed their objects through binoculars for greater clarity. What is of more interest was the sighting by Mrs M'Grath and her son in Loch Dochfour just north of Loch Ness on the 11th June 1935. 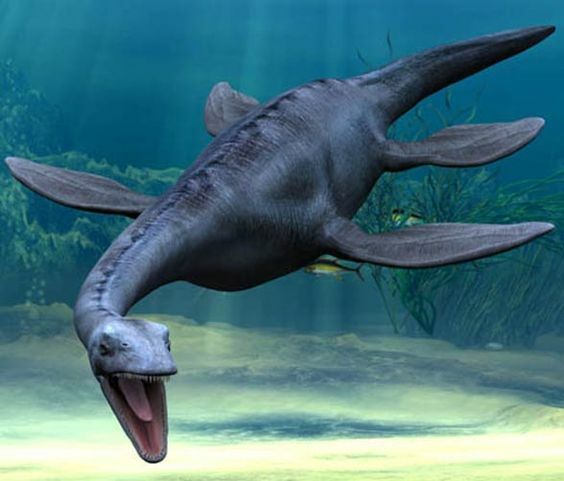 As reported by the Scotsman newspaper, the long head and neck was accompanied by a back from which "protruded two distinct rows of fin-like excrescences, also several feet apart". The creature was seen at a range of about 100 yards. An excrescence refers to a growth, protuberance or swelling and so on. M'Grath's ridge sounds more haphazard in appearance than the smoother ridges of Dinsdale and Holiday. Another reason why ridges may not be so visible may be down to the large distances involved in many sightings. but perhaps also that many will be side views of the back seen at almost eye level. For example, the other witnesses to Holiday's encounter, who were on the other side of the loch, drew a side on hump with no ridge. One sighting on our list that bucks that trend is the August 16th 1933 account by Mrs E. Scott who saw a blackish ridge along the top of the hump. However, the object in question was about 800 yards away and was only seen for a few seconds and hence is not as strong as the other reports. The final case I wish to mention brings things up to date and is William Jobes' report from May 2011. William has mentioned the possibility of a ridged back in his photos of the creature. The best picture is shown below which does give the suggestion of an unevenness along the back. However, something need to be compared and contrasted here. Namely, that a ridged back appears to conflict with the observation that the creature can control its humps in an almost fluid manner. Be it air sacs or fatty deposits, how does that fit in with a solid, ridged back? Well, it is not clear that the ridge is as solid as it may appear. In fact, it is not clear what it is at all. Is it just darker markings along the presumed spine of the creature? Is it just skin deep serrations which would readily yield to expansion of the skin during sac inflation? I would go for the latter theory, thus accommodating both aspects of the creature's gross morphology. 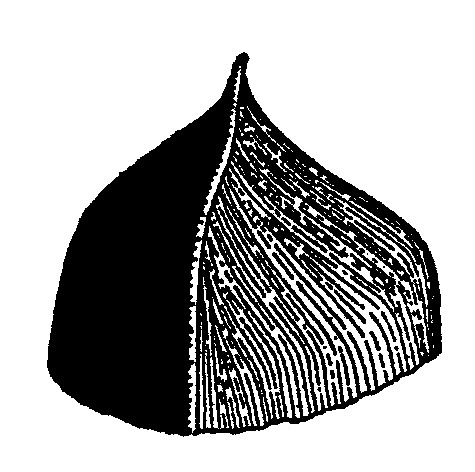 What the ridge feature signifies as regards the creature's possible identity is ambiguous. Plesiosaurs are sometimes depicted with ridged backs, though it is not clear to me whether the fossil record bears out such an interpretation. That other favourite of Nessie theories, the Atlantic Sturgeon, definitely sports a nice ridged pattern on its back, but could not possibly arch its back in the manner of the beast described by our various witnesses. What I would say is that this ridge is inconsistent with a mammalian interpretation such as a long necked seal. However, some would interpret such a ridge as a mane, which would obviously take us to a fur lined Nessie, which is inconsistent with the vast majority of eyewitness accounts. The idea of a mane tends to focus more on the neck of the creature rather than the entire length of the back. But the ridge as an extended mane is nicely pictured on Peter Costello's "In Search of Lake Monsters" where the extended mane idea is clearly seen. So, it appears to be a case of "you pays your money and you takes your choice" with these ridge theories. We began with a good sighting of the monster just over ten years ago and expanded into the general realm of monster morphology. The witness was hesitant to write due to the predictable disdain and scorn of sceptics. They will disdain and they will scorn, hence the anonymity. At this blog, we continue to accept genuine eyewitness accounts, just as the monster continues to appear at the loch.